Katie Brisichella, owner and one of our designers at Window Spaces has been involved in creating and selling window coverings and home décor products for 20 years! I studied Interior Design and have a strong passion for aiding my customers in choosing the best window treatments that meet their needs regarding light control, privacy, insulation, child safety and accomplish beautiful design within our customer's budget. I am driven by a desire and passion to provide you with high-value products and offer professional services that exude superior design, performance and beauty. I want every one of my customers to feel that I and our Window Spaces team of professionals have been able to provide them excellent value, the needed benefits and design to their home or commercial business space with our expansive window treatment. Our years of experience and expertise will assist you in creating a beautiful design and decor with custom window treatments. We sell Shutters, Blinds, Shades, Draperies, Window Film, as well as interior decor, rugs, art & accessories. From the simple to the lavish, we've experienced it all and can help you with every step of your window design needs, from choosing the style, colors and functionality of a window treatment that is best for you. We manage the whole process including measuring and professional installation. We sell many popular Brands such as Hunter Douglas, Graber, Alta, Norman, Century Blinds, several Designer Fabrics - Kravit, Carole Fabrics and many more ... Well designed window treatments and choosing the correct product for your needs do more than simply cover windows. We help change the way people shop for window treatments and add design elements where desired and ensure the choose the correct product for your needs. With Modern, Traditional Classic to Eclectic styles we offer many types of Shades, Blinds, Draperies, Shutters, and much more to meet your family lifestyle and home decorating needs. Your home is where all the simple, daily joys of life take place. From every meal you enjoy to every precious moment with a loved one, it is the backdrop to your most-cherished people and memories. Shutter & Shade Shoppe is a custom design window covering company that prides itself in outstanding and unbeatable service and satisfaction. We offer a wide range of elegant styles of shutters and shades fit for any window design. Our expert staff will help you celebrate the narrative of your life and family through our inspired window treatment designs based on comfort and personalization – all within your budget. We know that the little things matter. All of us at Shutter & Shade Shoppe pledge to help you decide what matters most when considering your window design project. 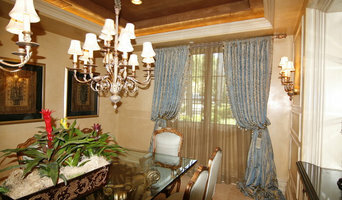 We promise to provide top-quality, custom-made window treatments for all your household needs. Thank you for allowing us to play a part in your story! 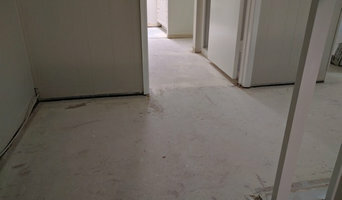 Contact us today, and let us provide you with a free quote! 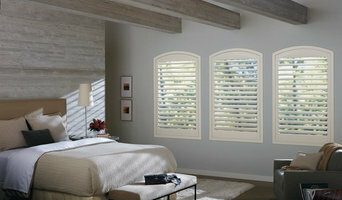 Elizabeth Shutters manufactures and installs plantation shutters throughout California. We call them “The Last Honest Shutter” because among all major shutter manufacturers, Elizabeth Shutters still makes shutters out of the finest whole Basswood and Acrylic materials by local craftsmen here in California. Maintaining quality, price and environmental standards has required new environmentally-sensitive manufacturing processes, attention to detail and highly trained personnel. But, the result is the best shutter money can buy at lower prices than most lesser products, and our customer satisfaction ratings speak for themselves. Elizabeth Shutters is proud to sell The Last Honest Shutter directly to consumers without middlemen, price gouging, sub-contractors or short cuts. Founded in 1980, Elizabeth Shutters is a D52 window coverings contractor (License #851645) and LABBB member. We employ 75 Craftsmen, Designers, Design Technicians and Installers in our factory in Colton, California and 10 remote locations around California. Click on a link below for details of plantation shutters operations and reviews in your area. Quality Plantation Shutters and Custom Draperies at an Affordable Price. Creative Window Coverings is one of industry's pioneering manufacturers of custom-made Window Treatments and Window Fashions, offering best-quality shutters, window blinds, window shades, custom drapes and curtains and other specialty items. Since our inception in 1981, we have been going strong with our philosophy of selling top-notch products while conforming to stringent quality standard. Our products are distributed throughout the cities of Southern California which include Los Angeles, Anaheim, Long Beach, Buena Park etc. and we have been exceeding our client's expectations by providing exquisite range of products at the best price. Our products have been crafted to meet the unique requirements of our clients and enhance the beauty their house. Be it wooden shutters or aluminum blinds, cellular shades or customized drapes, our extensive and diversified collection of eclectic yet affordable window coverings feature a wide range of styles, colors and fabrics and reflect the latest design trends. Blinds by Design is your premier choice for hard and soft window coverings in South LA county. We carry a vast selection of window coverings, including shutters, shades, blinds and more to meet your design or privacy needs. Each of our products is of the highest durability, quality, and style. The added benefit of ordering your window coverings through Blinds by Design is that we have professionals on-hand to install them for you, eliminating the need to seek outside installers. From consultation to installation and beyond, we can do it all! We believe that your purchase experience needs to feel seamless and comfortable! Join us for a free consultation to get started on your journey and realize the new vision for your living spaces. We've been in business since 1991 as an Interior Design and Window Covering Firm. We specialize in hard to treat windows or design areas as well as home automation and motorization. We're a Showcase dealer for Hunter Douglas as well as other window treatment manufacturers and many lines of fabrics. We strive to exceed our client's expectations and have enjoyed having many satisfied clients! #1 Lutron Dealer Wholesale "To The Trade" Candlelight Systems has specialized in motorized and manual shading solutions for 30+ years. We are proud to offer: Roller shades, Roman shades, Natural and Woven shades, Blinds, Shutters, Silhouettes, Skylights and Custom Draperies/ Drapery Tracks. As advanced Lutron Motorization Specialists, we are proud to be one of Lutron's Diamond Dealers and one of the largest wholesale distributors in the U.S. also specializing in lighting control and system integration. Candlelight Systems strives to exceed the needs of our cliental, beginning with exceptional customer service. We offer superior products utilizing various manufacturers who we have had long-term service and financial relationships with. We are able to meet our goals by taking pride in sales, engineering, manufacturing, quality control, installation and customer follow up! Check out our new website and give us a call today! F&R Interiors is a family owned company with 1,500 square ft. showroom in Los Angeles that has been assisting in custom designing and installing residential and commercial projects throughout Southern California since 1990. Our showroom includes every possible style of interior and exterior window fashions- including custom drapery, Roman shades, roller shades, motorized window treatments and more! Not to mention the vast array of custom upholstery, bedding, decorative hardware, trims and wood flooring. F&R is one of two Hunter Douglas Gallery Dealers in Los Angeles, which allows us to offer their exclusive products with the best warranty in the industry. We offer free in-home consultations where we take measurements and assist designers and clients in selecting the best option to transform any room into an inspirational and inviting space. Our expert staff collaborates as a supportive family treating your project as if it were our own. Rob and Sandra are the guiding lights of F&R. While Sandra grew up in the interior design business and remembers pinning the draperies for her mother as a little girl, she actually got her start in the costume design world of film and television. When the family grew, Sandra decided to join her husband, Rob in his window covering business and utilize her experience with fabrics and her impeccable taste in color with her long standing knowledge of draperies. Behind The Curtain provides a luxurious colorful drapery palette and elegant perspective bringing your home to a new level of prestige. Our lead designer brings experience, vision and sophistication to our team. Kathy is exceptional in providing her design aesthetic with interior and fashion design background into fruition. She will provide a complimentary design consultation and written estimate for your home or business. We guarantee that from start to finish your experience will be creative, productive and tailored to your drapery needs. No job is too big or too small for our facilities and we offer a full menu of services to accommodate your requirements. Transform your house into your dream home one window at a time with our knowledgeable staff. We are grateful for our clients and embrace your new projects with a partnership perspective. Please explore our website and contact us for your complimentary design consultation today. Need a Plumber, Electrician, Carpenter ? Or a Los Angeles Handyman Service with these different skill sets and many others ? Great ! You've reached the right place. Whether you need help with one larger job or a list of several smaller projects...we at Handyman Los Angeles will deliver as agreed. Handyman Los Angeles Services include Improvements, Repairs, Assemblies, Installations, Electrical, Plumbing, Carpentry, Smoke Alarms, switches, faucets, leaks, gates and doors Call, Text, or Email us today to receive a free Estimate.